Online registration is now closed for the 8th Annual STOP for Nikhil Run/walk to raise traffic safety awareness. Walk-in registrations open at 7:00 AM on Sunday, September 16, 2018. Online donations remains open below. 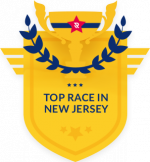 The course is USATF certified (Code: NJ16528JHP). Awards and prizes will be given to the top male and female, top 3 male and female runners in each age group, team captain for raising the most funds and team captain with the most team members. Come join us with your friends and family, to make our roads safer!! Show your bibs to receive reduced admissions to Turtle Back Zoo, Codey Arena and Mini Golf Safari on race day. $50 towards Families for Safe Streets NJ." THIS WAIVER IMPACTS YOUR LEGAL RIGHTS - PLEASE READ IT CAREFULLY. By checking the "I Agree" box below and clicking Submit, I understand that I am digitally signing this form and consenting to this WAIVER and each of its terms, for all participants ("Family") listed above. If the participant is under 18, I certify that I am the legal parent or guardian of the participant. If the participant is an adult, I certify that they are a member of my family and I have their authorization to consent to this waiver on their behalf. WAIVER:In consideration of my, and/or my child's/dependent's participation in the 2018 STOP FOR NIKHIL Run/Walk, to be held on Sunday, September 16, 2018 ("Event"), on behalf of myself, my child/dependent, all heirs and all assigns, I release and hold harmless The Nikhil Badlani Foundation, Inc., West Orange Board of Education, USA Track & Field, Inc. its employees, directors, assigns and USA Track & Field certified officials and/or any other sponsors, organizers and volunteers and their assigns, successors and heirs from any and all liability, loss, including any injury/death to any person; damage, expense, cost of every nature, and any cause of action (including negligence) arising from and in connection with my and/or my child's/dependent's participation in this Event. If I and/or my child/dependent need emergency medical treatment, I agree to be financially responsible for any costs incurred as a result of such treatment. I and/or my child/dependent are voluntarily participating in this Event, and I acknowledge and willingly assume the risk of any possible injury, death or damage that may be sustained by me and/or my child/dependent as a result of participation in this Event. Further, I grant permission to all of the forgoing to use any photographs, motion pictures, recordings, and any other record of this Event for legitimate purposes. Please Note: To complete your registration, click on the link "Return to Nikhil Badlani Foundation Inc." on the PayPal confirmation page. If you have any questions or need help registering, please contact us at: registration@nikhilbadlanifoundation.org.